Mac users are not completely immune to viruses and malwares contrary to popular belief. In fact, they continue to be at risk of losing personal information and financial details through the increasing number of malwares created with the rise of iOS-powered devices like the iPad and iPhone. For Bitcoin holders using these Apple devices, it becomes more troubling that hackers can acquire their wallet addresses and eventually steal bitcoins. This heightens their need to be extra careful in the downloading software to avoid falling prey to these online threats. One of the more highly recognized malwares is one that pretends to be the protection users need against malwares. 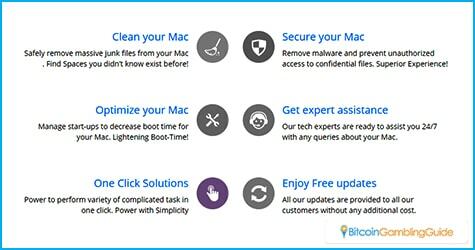 Known as the Advanced Mac Cleaner, this disguised anti-malware tool quietly runs in the background, so silent that users would not even notice the said tool. This new malware, complete with the Mac certificate of approval, will appear to function normally, while it smoothly performs the trick and eventually takes control of over 230 different file types that some of which could be present on your Mac. The inconvenience begins as you open a file but gets a prompt to install new and specialized software that can read the file format. If the user takes the bait, he will then be redirected to a site from which different useless software will be downloaded. Users who fell for this trap end up with several tools installed on their Macs. 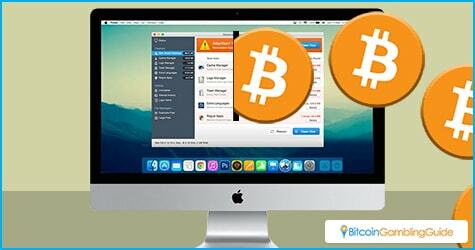 Reports claim, however, that no Mac users have pointed out losing funds from the said malware. As such, it appears as if the main goal of the Advanced Mac Cleaner malware is to install loads of tools on the users’ computers and earn revenues in return. Nevertheless, adding a feature that will enable the tool to steal valuable information like Bitcoin wallet addresses will be a different story. The Bitcoin community is not exactly a stranger to malwares. In fact, several threats have been created and launched before with a primary aim of collecting users’ bitcoins. The more recent one is the Dridex malware, which is also known as Locky. This type of malware is spread through Word email attachments and was first sighted in November two years ago. Unlike the Advanced Mac Cleaner malware, Locky is a high-level threat since it affects the Bitcoin wallets in the computer. 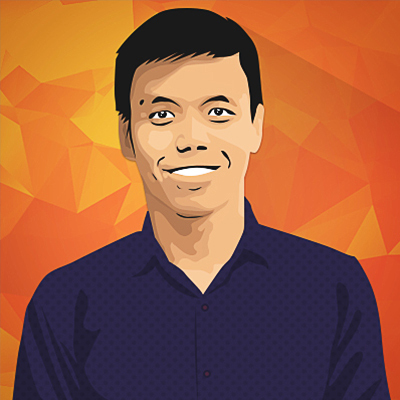 It also locks certain files, which can only be accessed upon payment of 0.5 BTC to 1 BTC. With the popularity of Bitcoin, users should expect more threats in the future, and these threats may very well target Mac users as well. This is the reason Mac users are strongly advised to use apps that are available in the App Store only.